A classic look never goes out of style. 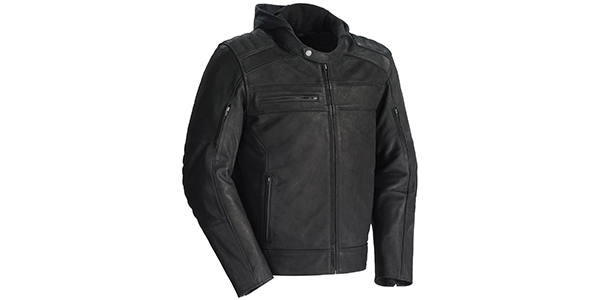 Neither do protective features like removable CE-approved shoulder and elbow armor, a high-density back protector and top-grain 0.9-1.0 mm thick supple cowhide leather as used in Tourmaster’s BlackTop Leather Jacket. Pairing these features with its removable jersey knit hood and a zip-out thermal vest liner, the BlackTop jacket is perfect for varying riding conditions.